The video of activist Trupti Desai being greeted after the Sabarimala verdict is being circulated with a misleading caption on social media. Please find more details at the verification section of this article. 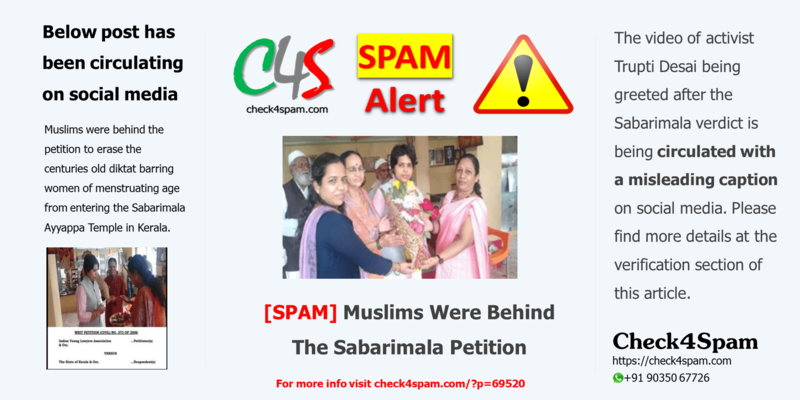 Muslims were behind the petition to erase the centuries old diktat barring women of menstruating age from entering the Sabarimala Ayyappa Temple in Kerala.